Experimental and session-like, not trying to meet high standards, with transverse flute and without vocals. There is only one single dub plate of this LP, i. e. one individual copy, which was given as a present to the band's drummer, Reinhold Stania, in 1975. It was unfortunately played too often and is therefore damaged significantly; the master tape was thrown away. Great efforts have now been made to restore and decrackle the LP as far as possible in the Kerpen Railroad Tracks studio, which is probably the best-equipped studio worldwide for this purpose. The result is highly superior to the original, but it is unfortunately still unsatisfactory, especially tracks one and three - more improvement was simply not possible. Only the bonus tracks are perfect. The music is experimental and session-like, not trying to meet high standards, with transverse flute and without vocals. 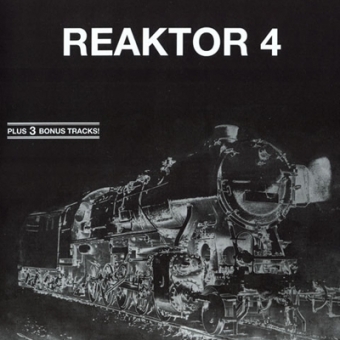 Apart from one gig they had in Essen-Rellinghausen, by the way, Reaktor 4 never had concerts outside their hometown, Bottrop, which is situated in the Ruhr area. Interesting mainly for collectors striving for a complete collection.